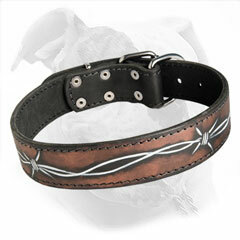 Barbed Wire Collar is one of the most fashionable canine articles of our American Bulldog web store. 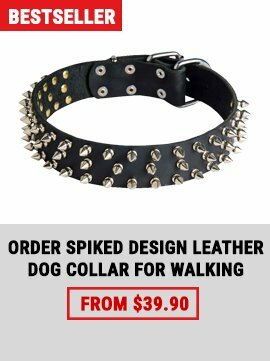 It is a perfect item for any activity where strength and reliability of the collar mean much. 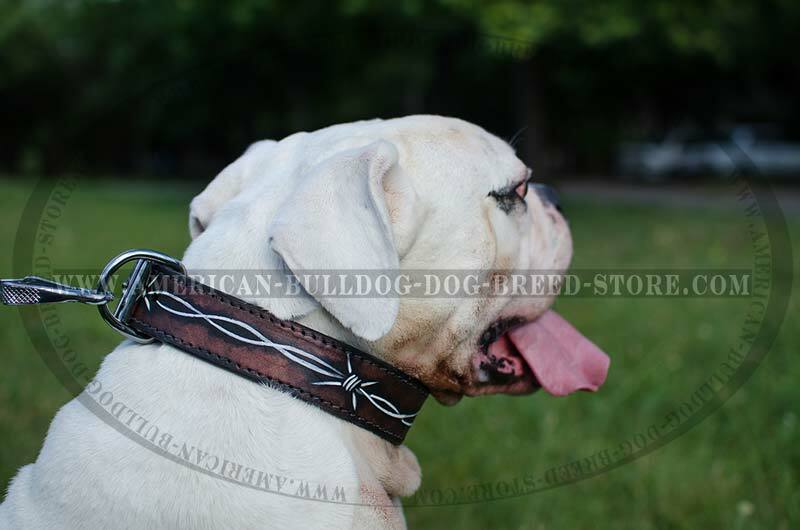 Thus, it will do a great service in training your American Bulldog, walking on small and large distances or without a lead, as well as exercising and sporting. 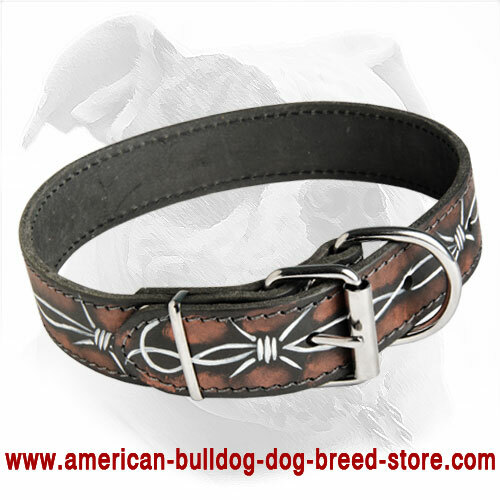 Its width perfectly fits American Bulldog breed: ideally wide for not to choke the dog and to look stylish on his neck. the mommies’ “scary dog” will change into “beautiful”, “cutie” and “ what a sweet doggy” forever! 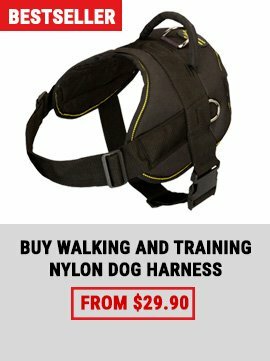 Get it for your American Bulldog right now! Make each day pleasant and full of comfort for your pet. Due to high quality water resistant natural paints, the collar causes no coat discoloration, allergy, irritation or skin rash of your American Bulldog. Smoothed waxed and stitched edges are not going to bother you with early fray. It is a trusty accessory to serve your Bully for years. Say bye to rust metal smell for good! Corrosion and rust proof nickel plated hardware will look the same shiny and gorgeous even in some years. 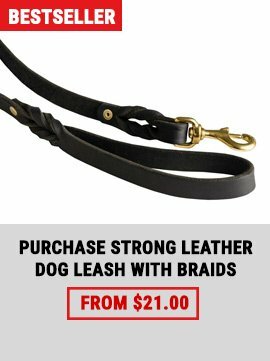 Buckle and leash connection ring are durable and dependable as they are made of solid steel with nickel plating and carefully stitched into the leather material. Be confident that in tensed situation your dog will not be able to pull out the ring or the buckle, tear the collar and release himself. Get the collar right now - please your doggy with soft, smooth and pleasant leather material.